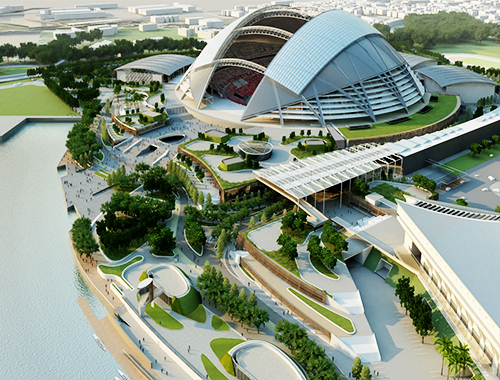 A new prestigious 55 000 capacity national stadium with a retractable roof and comfort cooling for spectators will be the largest free spanning structure in the world. As such an important site, security was at the forefront of requirements from a panel of consultants. With a tough specification Sensor Access were able to comply with a system made up of over 400 IC500IP controllers running on PoE, Biometric readers, 400 Sensor format prox and pin readers. GuardPoint Pro runs full redundancy with web interface, SQL database, OPC server, GuardTour, CCTV integration, badge production, multiple workstations and over 20 alarm controller boards monitoring additional doors and points within the building. 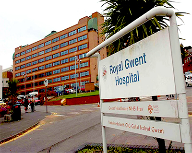 Royal Gwent's large complex multi site project secured by GuardPoint Pro. A busy modern school with many requirements.